1 of 6 - Living Room with a View! 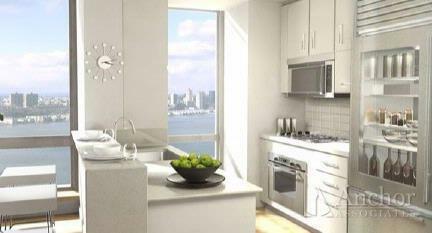 Impress everyone when you walk right into a top of the line brand new apartment with views to die for. This plush Junior 4 convert to 2 Bedroom apartment provides the perfect combination of luxury and quality living in New York City making it the most popular line in the building. As you walk through the living room area watch the sunset from your floor to ceiling windows and watch the city skyline illuminate at night with its energetic glow. Take a seat and relax at the large open kitchen and enjoy either a drink or a full course meal with this top of the line white quartz countertops, stainless steel: sub zero refrigerator with freezer drawer and stainless steel gas cooktop. You’ll never have to worry again about space with a large amount of square footage and a walk in closet space. For fun take a stroll up to the Sky Lounge or Swimming pool or enjoy one of the great restaurants and nightlife this area has to offer. Call Ben Willig at 212.310.0352!!! Not Exactly What you are looking for? 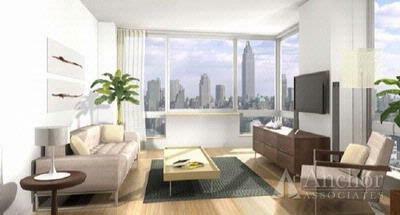 We have access to every listing in Manhattan and here to assist you in finding your dream home! 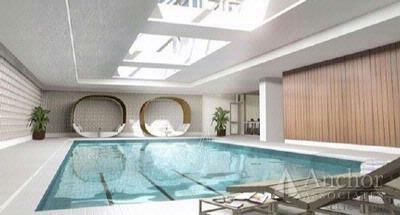 Call Ben Willig at 212.310.0352! **100% Service Guarantee** Our team prides itself on EFFICIENT service. If we do not respond with a group of potential listings within 24 hours from the initial request, receive 1% off the sales price of your apartment on us! !